Words such as tranquillity, serenity and luxury are thrown around way too much in the travel industry. 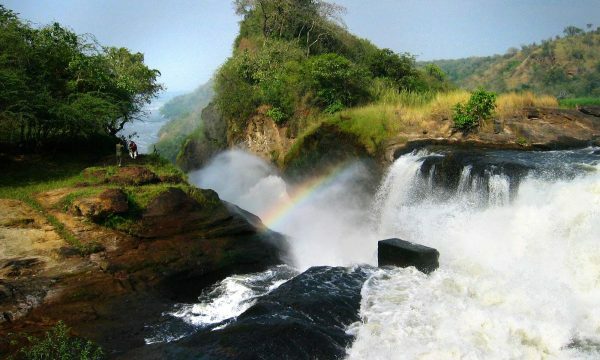 However, when you are talking about a property built in the middle of the largest National Parks in Uganda, Murchison Falls National Park on the banks of river Nile, then you ought to throw these terms around as often as you wish. 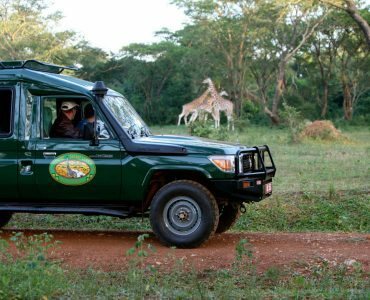 Buried deep in the heart of Murchison Falls National Park, Chobe Safari Lodge is only three and a half hours drive away from the capital city Kampala, however if your bank balance allows, the lodge has its own private airstrip where you can land your own aeroplane (beat that!) 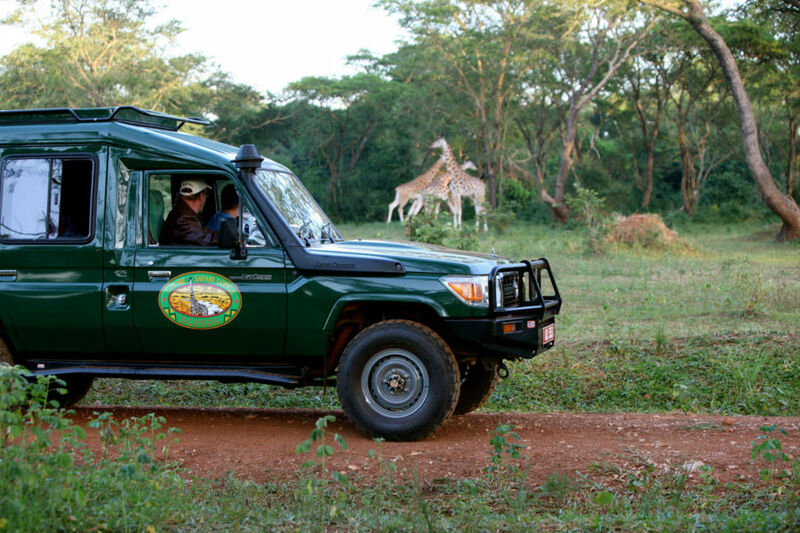 and should you wish to charter, the lodge has its very own ground handler Premier Safaris that can make it happen. The original lodge itself was constructed in the 1950s and, after lying derelict for a couple of years, was refurbished into what is now a luxury property with beautiful contemporary afrocentric interiors. 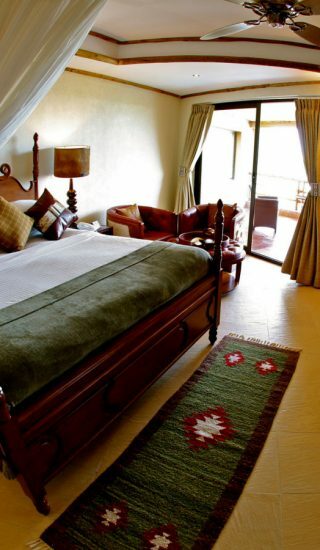 The property boasts one bridal suite, self-contained with a kitchenette, Jacuzzi bath and a floaty kingsize bed, three standard suites featuring a living room with a view of the river and interiors of earthy tones, leather sofas and African art. 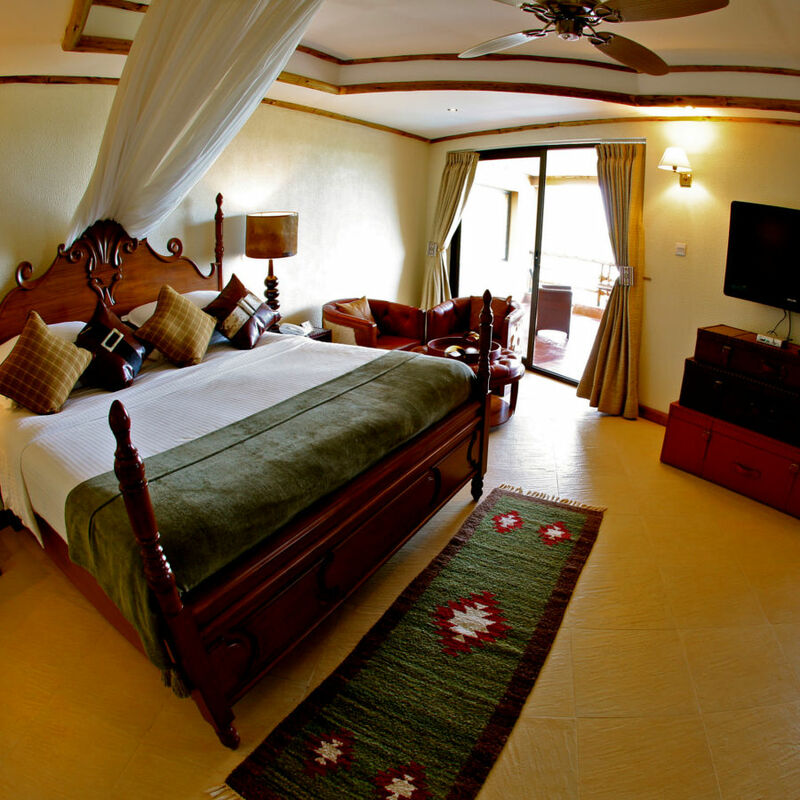 These suites are also interconnected to twin rooms which on request can turn into a two bedroom suite if the guests have children or friends staying with them. There are 36 standard rooms located in the main building of the lodge, all ensuite with a private balcony with a view of the river. 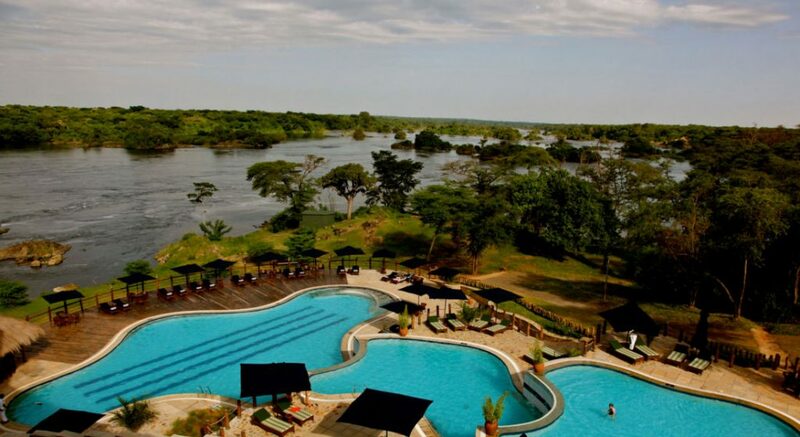 The Nile suite which is also ensuite and is at the top of the main building, giving the guests the best views overlooking the swimming pool and river Nile. This suite features a whirlpool bath, spacious living room, a king-size bed and private balcony to relax and enjoy the sunset. On the ground floor of the main building is the disability friendly room which gives easy access to wheel chair users and features a wet room and spacious living quarters – however with this room you may find that there is no ramp leading to the patio leaving the wheelchair user with no access to the outside area but rather left to gaze through the sliding doors… Other than that it has all the luxuries and comforts that come with rest of the rooms. Out of the main building, there are luxury tents for those guests that need privacy and are willing to pay a little extra for the more authentic safari experience. Now, they are called tents but the interiors are nothing like tents, unless of course tents come superbly furnished with modern interiors. 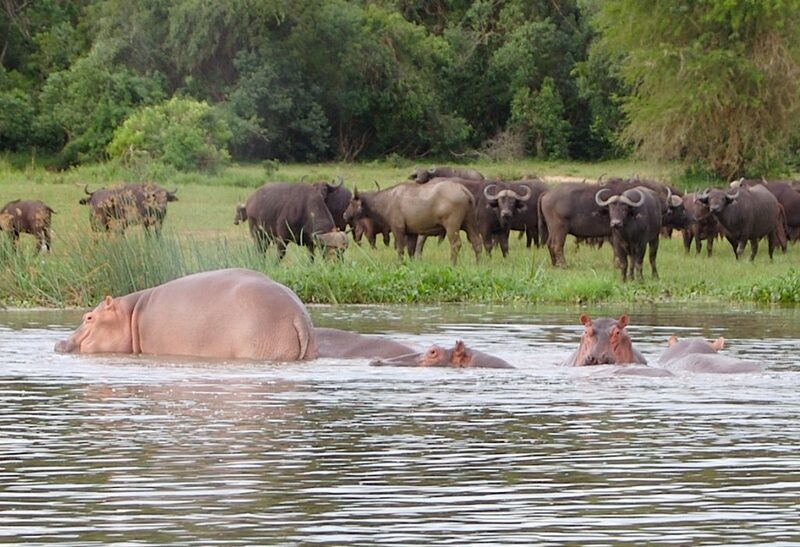 The main advantage of staying in the tents is that the guests are closer to the river banks and chances of strolling out to your balcony and finding a hippo grazing or an elephant taking a dip in the water right beside you are quite high. 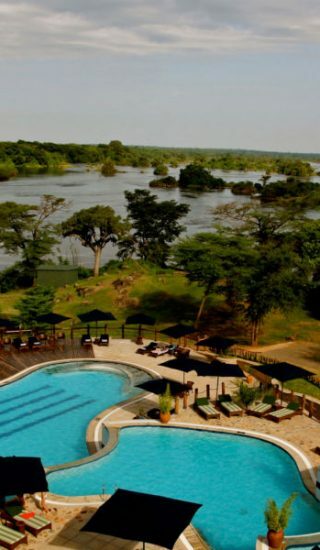 There are 8 standard tents, 7 deluxe tents and 6 super deluxe tents with spacious interiors, ensuite shower/bathroom, private balconies with sun loungers to watch the sunset and – what mostly got my attention – kingsize beds facing the double doors leading to the patio, which gives you the best view of the river whilst you lie in bed (BLISS!). Further from the main building and away from the tents is the presidential cottage, in which a little bird tells me the President of Uganda has stayed thrice! This is quite a lot given that the lodge has only been open for three years. 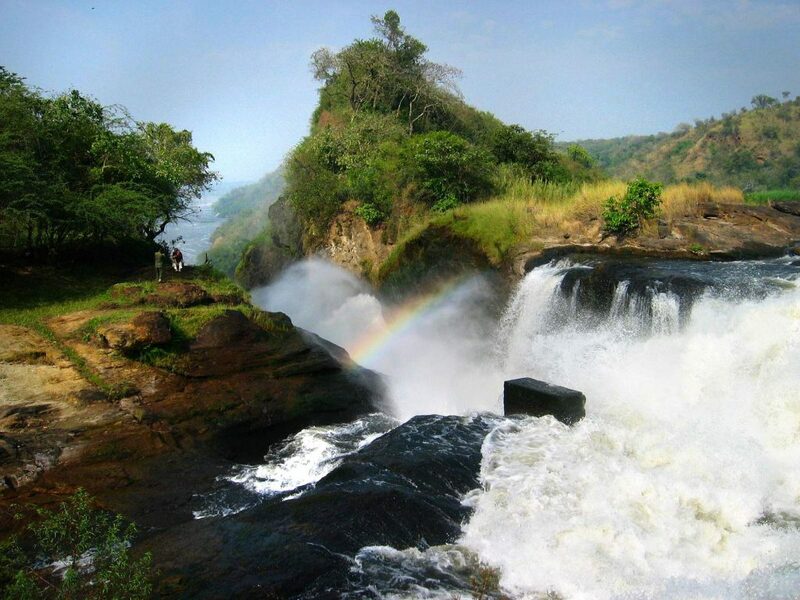 The cottage has parking space for about 7 cars, features a twin bedroom, a double bedroom and large living space, a large verandah overlooking the river Nile right at the spot favoured with elephants, hippos and buffaloes. The lodge offers 5* dining in the Karrama restaurant, situated on a high cliff giving diners stunning views of the river, and serving a la carte menu for lunch and a buffet style dinner. For the a la carte menu, I highly recommend the scrumptious pan seared Nile perch fillet and Creole sauce with buttered rice and seasonal vegetables followed by the fresh fruit salad. Drinks and cocktails can be had either in the game-inspired and so fashionable Karuma bar, filled with zebra print and leather furnishings, or you can ask Amos the head barman to whip up one of his famous cocktails for you to drink by the three tier swimming pool. Other amenities include a health club / gym and spa which was recently awarded the CNN ‘gymnasium with the best view’, a fully stocked gift shop with African fashion, art and souvenirs, business centre and conference facilities. 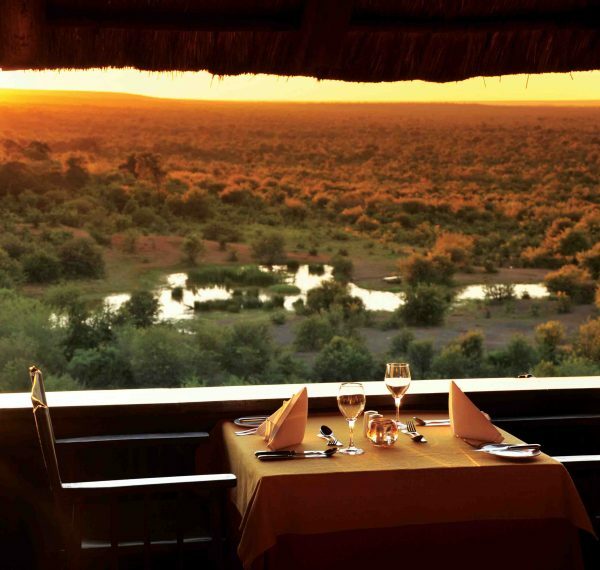 Internet can only be accessed in the lobby, which was a downer for a person like me who spends every waking moment updating my life on social media, however to many – especially those that choose to stay at Chobe Lodge – it is these very life interferences that they want to get away from in the first place. 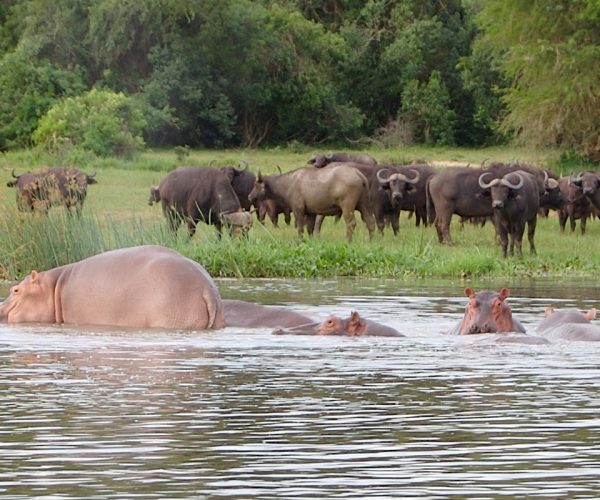 If you are looking to set the worries and troubles of the world aside, get away from the hustle and bustle of the fast-paced world and enjoy the peace and beauty of nature then Chobe is the right place for you. 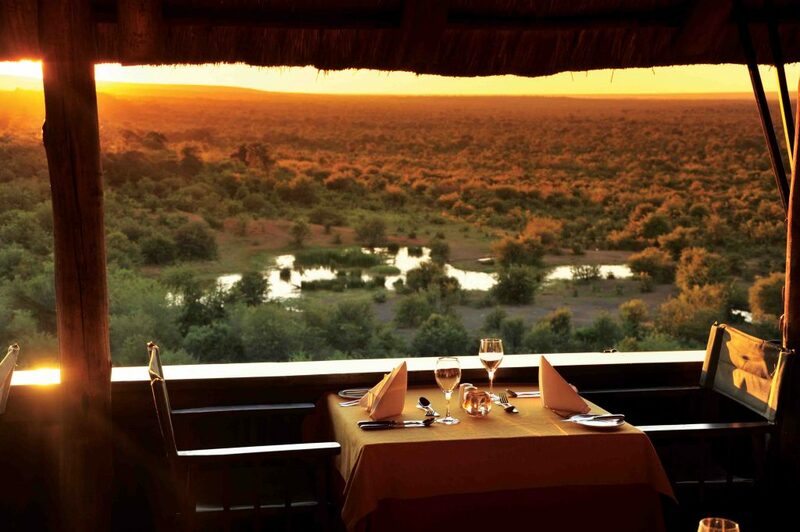 Chobe offers an unforgettable experience of a tropical inspired hideaway with exquisite grounds, riverside view accommodation and fine dining with polite, kind and helpful staff, always going the extra mile to make sure that you have the best experience. The service is impeccable and the attention to detail at this luxury property is next to none.